LAS VEGAS, March 20, 2018 /PRNewswire/ — Leading Chinese automaker GAC Motor will attend the National Automobile Dealers Association Show (NADA Show) for the first time at the Las Vegas Convention Center from March 23-25.GAC Motor will be at booth number 274N and bring a star lineup of best-selling vehicles including the GS8, GS4, GM8 and GA4.The trip officially kicks off the company’s development of a dealership network in North America. One key event during the show is the 2018 GAC Motor dealer gathering, which is scheduled on March 23 in the Four Seasons Hotel exclusively for dealers. As a premier marketplace of auto products, services and technologies, the NADA Show provides a platform for automakers to connect with dealers. 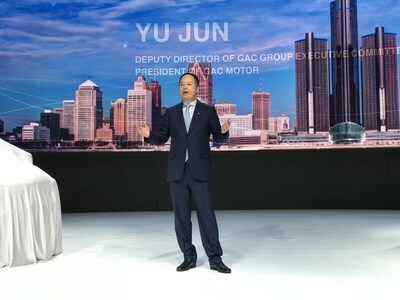 “In light of our announcement to enter the U.S. market in 2019 at the 2018 North American International Auto Show (NAIAS), coming to the NADA Show is a perfect start for GAC Motor to build partnerships and develop our dealership network in the North American market,” said Yu Jun, President of GAC Motor. For the first appearance on NADA show, GAC Motor is well prepared to bring four premium vehicle models, all of which have showed solid performance in the international market. The GS8 SUV has become hugely popular both in the domestic and global market. 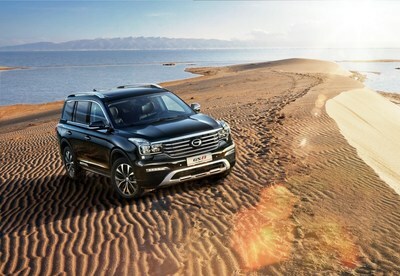 Since its release in October 2016, the Vehicle has ranked No.1 in the domestic 7-seat SUV market segment, which made a historic breakthrough for Chinese brand high-end SUVs. 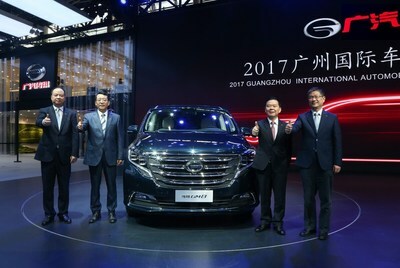 The GM8, the brand’s first minivan released only two months ago, has highlighted GAC Motor’s latest achievements in independent research and development (R&D) and cutting-edge technologies. At the 2018 NAIAS, GAC Motor released its latest sedan, the GA4, which was developed on the company’s G-CPMA platform, a model that has enabled the automaker to enter the A-level market. GAC Motor’s best-selling SUV model, the GS4, has ranked among the top three in the SUV market with 841,410 cars sold since April 2015. GAC Motor, China’s fastest-growing automaker, has established a world-class manufacturing system, as well as a global R&D network and supply chain. The company sold 508,600 vehicles in 2017, a 37 percent year-on-year growth rate. In the first two months of 2018, GAC Motor made history again with 95,136 cars sold, a 20.3 percent year-on-year increase that got the brand off to a flying start. “By participating in NADA, we hope to speed up the building of our global dealership network. 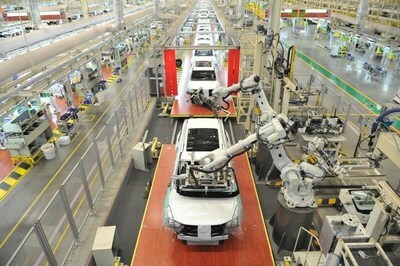 GAC Motor has always insisted on building high-end, world-class products with a craftsman’s spirit,” Yu said.